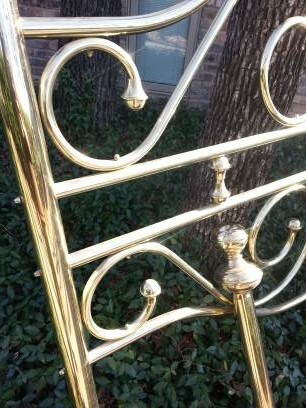 Beautiful polished brass headboard and foot posts. Available for pick up in Trophy Club. Originally sold for over $300.